The Shea Hand Scrub gently exfoliate, eliminate dead cells and moisturises skin. The Shea Hand Scrub is a rich, exfoliating care made with organic Shea butter (10%) specifically designed for all skin types, even dry. 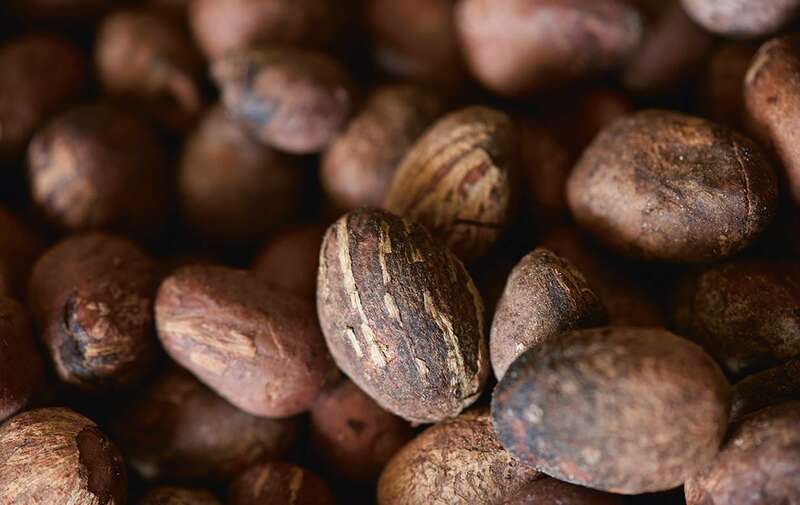 It is enriched with exfoliating walnut husks to gently exfoliate and eliminate dead cells. Enriched with apricot oil and allantoin, this scrub helps soften hands while protecting them from drying out. Only one minute is necessary for a smooth and soft skin, perfectly primed for moisturising care. This scrub can also be used on rough areas of skin (heels, knees, elbows, etc.). One-minute prep (1 to 2 times per week): on dry skin, apply a dollop of this scrub into your hands. Delicately massage the palms and back of your hands as well as your nails and cuticles for 1 minute. Rinse with plenty of water. Apply your moisturizing care as normal. As a mask (1 time every 2 weeks): apply thick layer of this scrub over your hands, leave for 2 to 3 minutes and then exfoliate. Rinse of the remains with plenty of water. Your shin is now ready for your regular moisturizing care. AQUA/WATER - BUTYROSPERMUM PARKII (SHEA) BUTTER - GLYCERYL STEARATE - GLYCERIN - DICAPRYLYL CARBONATE - CAPRYLIC/CAPRIC TRIGLY- CERIDE - SILICA - ARACHIDYL ALCOHOL - MYRISTYL ALCOHOL - CETYL ALCOHOL - CERA ALBA/BEESWAX - JUGLANS REGIA (WALNUT) SHELL POWDER - PRUNUS ARMENIACA (APRICOT) KERNEL OIL - HELIANTHUS ANNUUS (SUNFLOWER) SEED OIL - POTASSIUM CETYL PHOSPHATE - MYRISTYL GLUCOSIDE - CAPRYLYL GLY- COL - ARACHIDYL GLUCOSIDE - ALLANTOIN - BEHENYL ALCOHOL - XANTHAN GUM - SODIUM HYDROXIDE - CHLORPHENESIN - TOCOPHEROL - MICA - PARFUM/ FRAGRANCE - BENZYL ALCOHOL - BENZYL BENZOATE - LINALOOL - CITRONELLOL - COUMARIN - ALPHA-ISO- METHYL IONONE - HEXYL CINNAMAL - LIMONENE - CI 77891/TITANIUM DIOXIDE - CI 77491/IRON OXIDES.